The collecting of books on bullfighting is surprisingly organized. While not as popular as it was during the 1950’s and 60’s, whatever the field lacks in numbers of collectors it makes up in their aficion (love of the activity, nearly to madness). There are collecting clubs in Spain, Mexico, France, Sweden, Great Britain, and the United States (see, Taurine Bibliophiles of America, my home club, easily found through Google) and probably more throughout the world that I have yet to discover. Bullfighting itself has, of course been around since Ur or before and is found today in different forms in Spain, Portugal, Mexico, Guatemala, Peru, Colombia, and to a lesser extent in some other Latin American countries, as well as such relatively unknown areas as Korea. “Bloodless” bullfighting (with Velcro where the only blood shed is that of the toreros) may be viewed in California and Arizona and Portuguese style, where the bull is not killed, may be found in California as well. Wherever bullfighting has been a by-product has been great art, music and writing, followed of course by collecting and buying and selling. Goya, Picasso, Bizet, and Hemingway are probably enough to make the point, though one could begin with cave paintings. 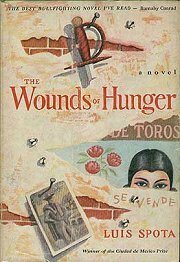 Some of the fictional highlights of an English language collection should probably include: Frank Harris, Montes the Matador and Other Stories, Grant Richards, 1900; Vicente Blasco Ibanez, Blood and Sand, Simpkin Marshall, 1913; Henry de Montherlant, The Bullfighters, Jonathan Cape, 1928; Luis Spota,The Wounds of Hunger, Houghton Mifflin, 1957; and of course Ernest Hemingway, Fiesta (The Sun also Rises in the US), Jonathan Cape, 1927. 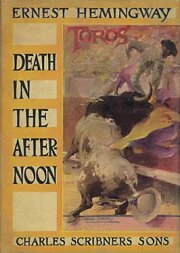 A non-fiction collection should certainly contain Ernest Hemingway, Death in the Afternoon, Jonathan Cape, 1932; Vincent J.R, Kehoe, Aficionado!, Hastings House 1960; Kenneth Tynan, Bull Fever, Longmans Green, 1955; Barnaby Conrad, Death of a Matador, Michael Joseph, 1952 and my own favorite by Conrad (and his as well), How to Fight a Bull, Doubleday, 1968; Robert Daley, The Swords of Spain, Dial, 1960; and Angus McNab, The Bulls of Iberia, Heinemann, 1957. Any area of collectible material seems to be dominated by fads and momentary hot items. In bullfighting it is usually the rapid rise of a star. El Juli is a present example. The death of a prominent figure may increase demand. John Fulton is a sad example of that. Year in and year out certain areas seem to retain popularity, usually the unusual or odd subject. Examples are U.S. or British bullfighters, women, African or Asian bullfighters. 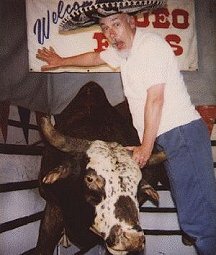 What I think of as crossover subjects also seem to hold interest, bullfighting in the Old West or anthropological studies of a taurine interest would be two examples, or the bullfight in fine art. One of my own favorite bullfight books is the Scholastic Book Club’s novelization of Herbie Goes Bananas, which, you may not recall, includes a scene of the VW Beetle fighting a bull in Mexico, complete with a photo of the action on the cover. The nicest thing about the piece is that it is only available in the Book Club paperback edition. My fondness for it undoubtedly reflects more on my whimsical approach to books than any actual merits of the book. 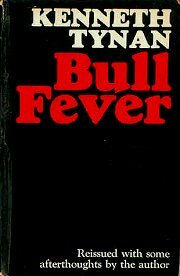 The Taurine Bibliophiles of America, as one of its primary tasks, has been working on a bibliography of bullfight books in English for almost 40 years now. As of the year 2000 it contained, much to the surprise of most readers I am sure, 1,770 titles. We are constantly finding new English language material with references to bullfighting. The field is growing with new publications and newly discovered material. I can’t really recommend the field for investment purposes, but then I don’t believe in collectibles of any kind as investment. The prices have remained the same or, more usually, dropped over the past 15 years. As an area filled with great writing, great art and photography, and still discoverable obscure or unknown items, it has other rewards. For those fanaticos I do highly recommend the area. For those interested in mere monetary gain, I would suggest collecting certificates of deposit instead.